Piling in need, many people will choose to use sheetpile, this pile is always in use, it has a good performance, as long as the builder in operation more attention to some, you can let them pile achieve the best results . As long as you noticed some large bridge construction, you will find underwater pile driving, always use steel sheet pile as a basis for measures to pouring, with the other pile simply can not do the basic part underwater. In many large-scale construction projects require the use of steel sheet pile, the pile will always be such a good role, the quality of the problem does not occur in use, it will not bring any impact on the affordability of the project. 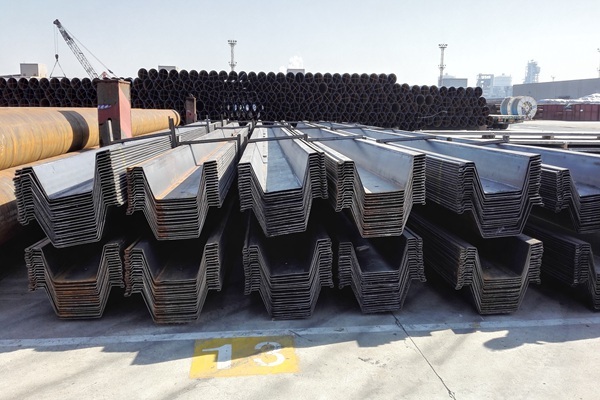 In the use of these piles, construction must strictly enforce the requirements, the need for piles prior to use checks, be sure the established specifications, when some pile has gone wrong in the future, it will affect the base portion of the bear force. In the use of steel sheet pile effect depends largely on the construction of the operator, when the builder in full accordance with the requirements of the pile when using these, you can achieve the required quality requirements, it can bring high-quality construction. If construction were an error occurs during operation, it will seriously affect the quality of the project. When using steel sheet pile, the builder must be based on the designer's requirements piling, pile these forces are precisely calculated, and if there is some bias in piling and they will bring to the quality of the whole project serious problem. When we noticed some underwater pile driving, always you will find designer scene commander will always be for the use of these piles were monitored closely in order to achieve the best results.